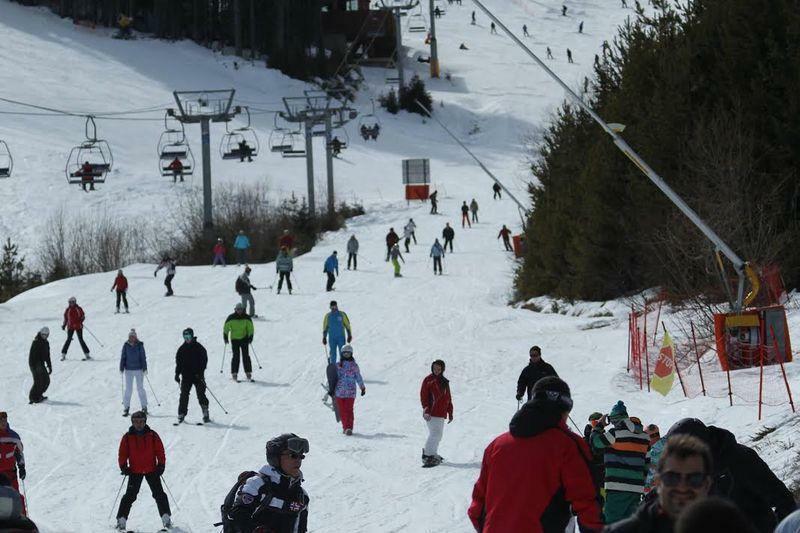 Tourists have a wide selection of lifts in Bansko: one gondola, two 6-seater and six 4-seater lifts as well as draglifts, including a children’s draglift. All lifts are highly reliable, maintained in an excellent condition. 8 of the 9 lifts are produced by Doppelmayr, an Austrian company that since 2002 has been working in a union with a Swiss group. The Todorka lift is a manufactured by the Italian Leitner Ropeways and has been open since 2015 when it replaced the then 3-seater line. Five of the Austrian lifts are in operation from 2003–2004, “Chalin Valog” has been operational since 2007, “Kolarsky” – since 2010, and “Plato” – since 2011. The total longitude of he lifts in Bansko is 22 km. 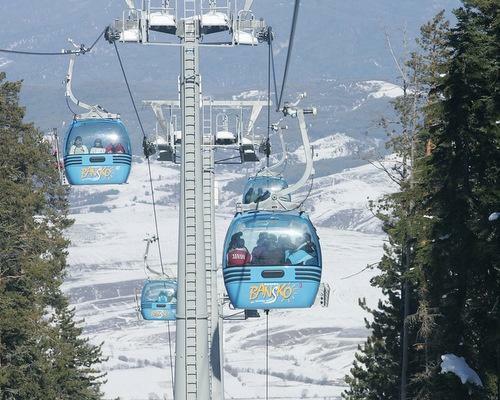 The 8-seater gondola lift in Bansko by itself is a one of a kind experience. With its 6,233 m it is the longest lift in the resort and second longest in Bulgaria – Simeonovski lift in Vitosha is “ahead” with about 40 meters. The Gondola in Bansko is connected to all the tracks. The views from the attractive gondola lift in Bansko are endlessly wild, picturesque and beautiful. They relax, restore the spirit and inspire. They fill the eyes with space, light and colors. With magnificent peaks and forests, in a fascinating tranquility; with a sky that seems vaster than anywhere else. The “walk” with a gondola lift in Bansko is not really just an attraction – it drains away stress, renews, cheers up, charges with beautiful memories for a lifetime. The 25-minute trip with the lift conquers a height of 597 m between the town where the starting station is and the Banderishka Polyana. The lift can be used also in the winter. The summer schedule for use actually includes the period from June to the end of November, with traffic being intensified in July and August. For summer 2017 the one-way ticket for adults is 16 leva, the return ticket – 20 leva. For students and pupils respectively the prices are 18/14 leva; for children between 7 and 12,99 years – 16/12 leva and children up to 6,99 years – 1 lev. The one-day card for cyclists with bicycle transport included is 30/27/20/1 leva. During the winter season ticket prices are not very different, and there have been no sharp rises over the years. There is a wide choice of subscription cards in the winter. During the warm months, the “walk” with a gondola lift in Bansko can be combined with a visit to the Banderishka Polyana attraction park. There is a water slide with a length of 400 meters, descending on tubes, mini golf, mini football, areas and facilities for relaxation. Among the chairlifts in Bansko, with its 2,606 meters, “Bridge” is the longest one. It is a 4-seater, high-speed lift, its displacement is of 582 m. In the Plato area it forms a kind of crossroad – the Plato lift passes over it. Serves the Plato 1 (easy) and Plato 2 and Strazhite tracks which are of average difficulty. 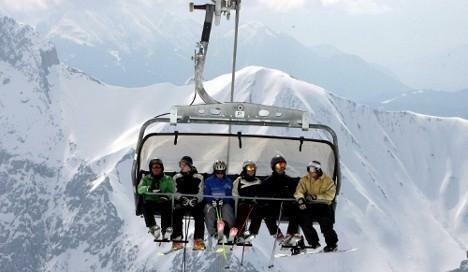 The second longest of the chairlifts in Bansko is the 6-seater Todorka lift with its 2,415 meters. The trip is 6 minutes, it overcomes the altitude of 703 m, the capacity is of 2,000 people per hour. Serves the tracks of average difficulty “Todorka”, “Banderitsa”, and “Plato 2”, as well as the easy track “Plato1”. The third in length of the tracks of the chairlifts in Bansko is the 4-seater “Shiligarnik” with 2,042 meters. The overcome displacement is 483 m, the capacity per hour is of 2,000 people. The lift connects to the easy track Plato1 and Transition to Shiligarnik and the track with average difficulty Plato 2. The next of the chairlifts in Bansko is “Banderitsa 1” with a length of 1,745 meters, a 4-seater lift with a displacement of 360 meters. It transports up to 2,000 tourists per hour and connects with the Banderitsa, Plato2 and Todorka tracks which are of average difficulty and with the easy track Plato1. The 4-seater lift “Banderitsa2” is shorter – 972 meters, with less displacement – 301 meters, but it is also capable of transporting 2,000 people per hour and is connected with the same cakes as “Banderitsa 1”. Kolarski lift or also called Stara Pista (Old track) is the second 6-seater lift among Bansko’s chairlifts. In 2010 it replaced the then 4-seater lift. The displacement is 316 meters, it carries 3,000 people per hour. Its connection is with Banderitsa and Stara Pista, with average difficulty. Chalin Valog is a 1,100-meter-long safety helmet lift, the overcome displacement is 325 m, carries 1,965 people per hour. Its connection is with the medium difficulty tracks Chalin Valog 1 and 2. Plato serves the Plato1 and Plato2 tracks and has an hourly capacity of 2,000 people.